In the Heir was an okay read. Everything moved too quickly to be believable. Plus the characters thoughts weren't really believable either. It was...odd. Odd because though I didn't really see a connection between the main characters or believe the way they thought, I didn't hate it. It was an okay read, light and quick. Brett loves his brothers, but they don't seem to know that. He can come across as harsh and unfeeling, but he is really a big teddy bear. He really does whatever he can in the background to help them out. They just don't know it. 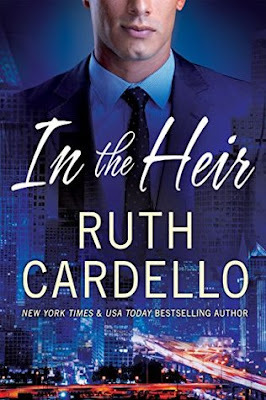 When Brett's grandmother decides that she will give her grandchildren their inheritance early if they get married, his brother Spencer gets engaged. To his childhood best friend. Brett doesn't know that the engagement is just for show, they are not really in love and Alisha is just trying to help out her friend who is like family to her. The only family she has. Why wouldn't she help him when he needs it after everything he and his family have done for her over the years? 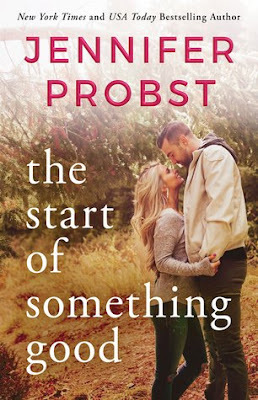 When Brett starts looking into Alisha, trying to make sure she is not taking advantage of his brother, he never expected to start falling for her himself. Of course he would never act on it and hurt his brother, but it is not something he expected. And Alisha starts falling for him as well. She can see that though he may bark out things, his bark is worse than his bite. That he really cares for his siblings and is actually a really kind man. Not at all what Spencer had led her to believe. These two start spending more time together, they have some ups and downs, and they have to try and figure out if they were to be together how to do so without upsetting everyone else. It was okay, but like I said I didn't really see the connection between the two of them, or anyone for that matter. Plus I didn't really understand some of the people's reactions to things that happened in the story. It made no sense! As a whole this story was alright and by the end I was happy. A light, quick read.